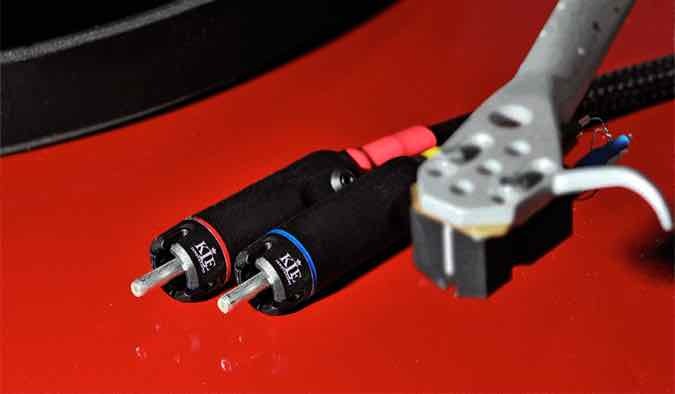 RCA, XLR or DIN Connectors - Which is Best? Please note: this post is an introduction only and does not cover everything pertaining to this subject, which can get very complex. 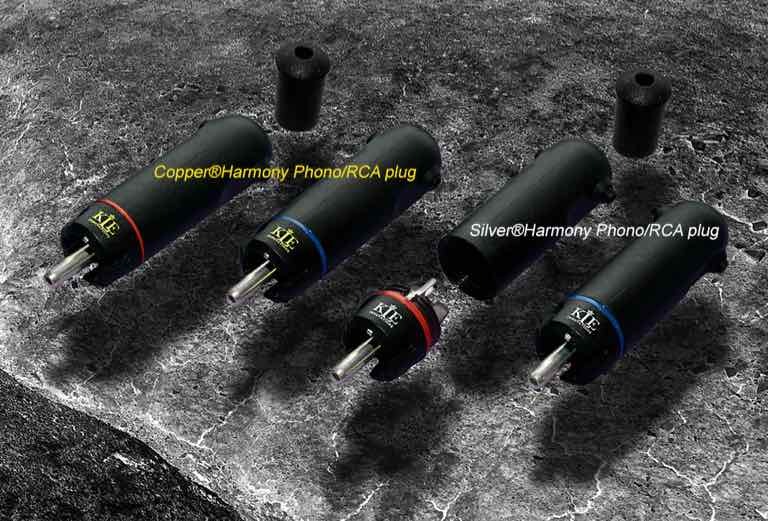 Before looking at the actual performance of these connectors I must first explain that RCA can only support a “single ended” electrical interface, DIN typically supports a single ended electrical interface and XLR typically supports a “balanced” interface. a second identical conductor for an inverted copy of the signal - referred to as “-“, or "inverted"
What does Balanced buy me? When the balanced signals are processed at the receiving component (e.g. the amp) they are combined by a process referred to as “subtraction”, which effectively retrieves the original signal. Alas - the circuitry in balanced components is more complex and in turn more expensive to manufacture. Have XLR connectors been used on components using a single ended design? Can you connect a balanced output to a single ended input? Can you connect a single ended output to a balanced input? A conversion circuit would be required. XLR's have always been a better "quality" connector that uses plated copper for the pins. But it has more component parts, resulting in it being more expensive to manufacture. Whereas RCA connectors were generally made from more "cost effective" materials like brass and far less complicated to manufacture. Having said that there are many RCA connectors that are very highly priced - some, for no apparent reason. To elevate the performance of interconnects using RCA connectors, i.e. from a noise perspective, in place of using a a coax cable, you can use a balanced cable (two identical centre conductors + shield) by connecting the two centre conductors to the signal and neutral, but connecting the shield to the neutral side of the RCA at only one end of the cable. This end would always be connected to the component that was the origin, or source of the signal. But there remains a serious problem with the RCA in that pure copper, because of it’s softness, is difficult to machine. Copper alloys were developed, but even those fall below the conductivity of pure copper, or even silver. 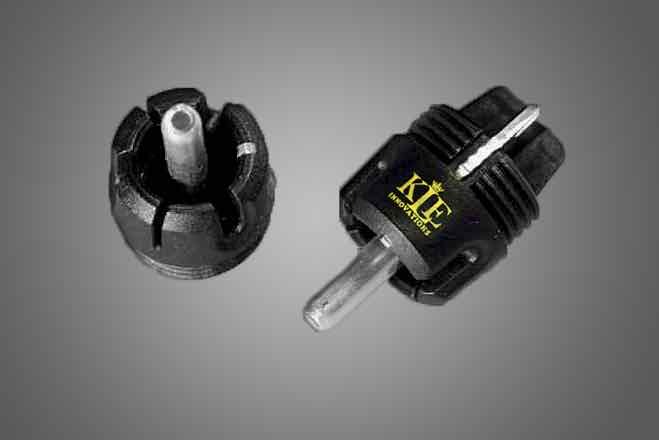 KLE Innovations, had the foresight to develop a quality RCA connector that did not require the same manufacturing processes that in turn allowed pure copper and silver to be used. There is also more to the science of these connectors in that they focus the transmission of the electron flow resulting in a much improved transmission of the electrical signal and minimize electrical reactance within the RCA itself, resulting in improved dynamics, details and spacial image. Because of the improved performance of high quality RCA interconnects and the development of the floating shield approach, the choice of which type of interconnect to use on components that have both types of connector implemented is not quite so clear cut these days, i.e. for shorter cable lengths. So which interconnect type do you buy? 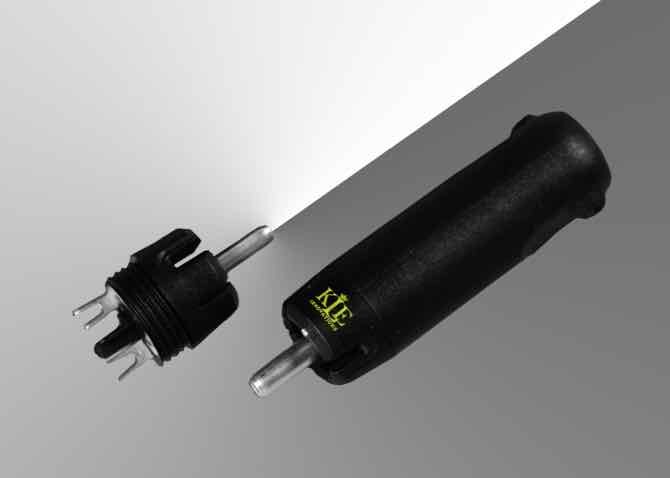 The obvious - If you have two components that have both types of connector - Buy XLR! 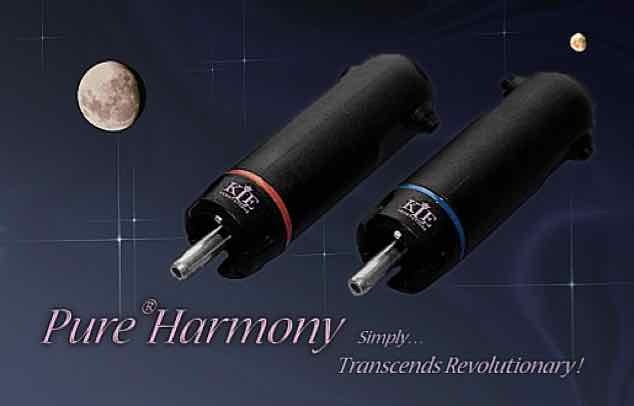 So right about now you may be thinking that perhaps to move to the "next level" in performance you have to sell off all your RCA connected components and buy only those components with XLR Connectors! Well, you can implement floating shield grounding strategy using interconnects with RCA connectors and balanced cables that will deal very effectively with RF interference in a system. 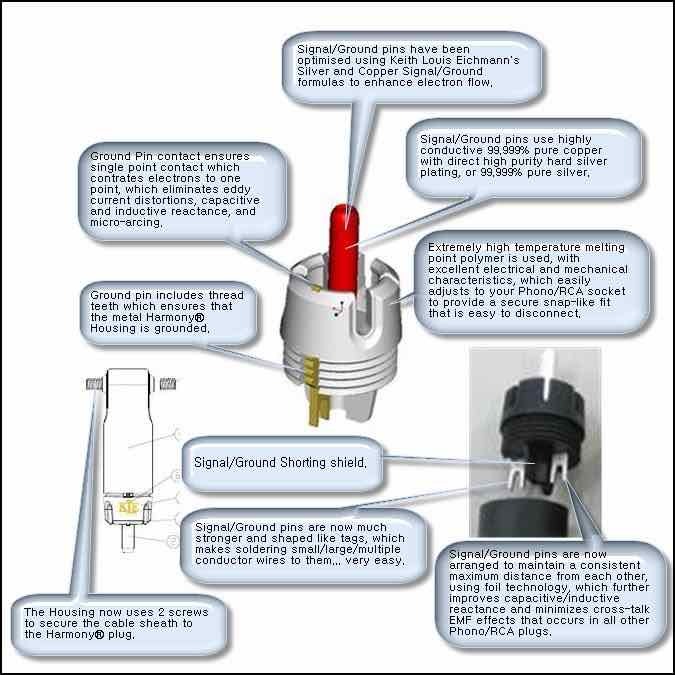 If you utilize the "Floating Shield" design for interconnects and power cables - and implement the component grounding strategy identified in Hi-Fi & Grounding - the effectiveness at removing RF interference from the next level of amplification is second only to that of systems where every component adopts a balanced design. CAUTION: I have seen interconnects out there that have a little arrow indicating a "direction" - this is NOT always an indication that the cable has a floating shield, but more often indicates the direction in which the wire was extruded. Always ensure that both left and right channel cables are connected in the same direction. These utilize an advanced helix architecture and can resolve to an extremely high level due to the materials used and their unconventional cable geometery.